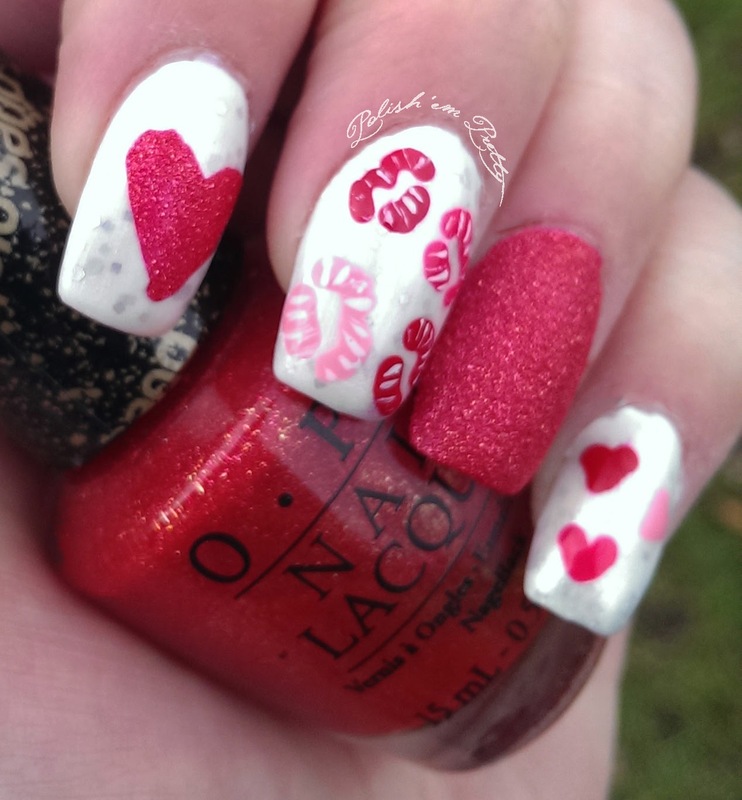 Polish 'em Pretty: Happy Valentine's Day! 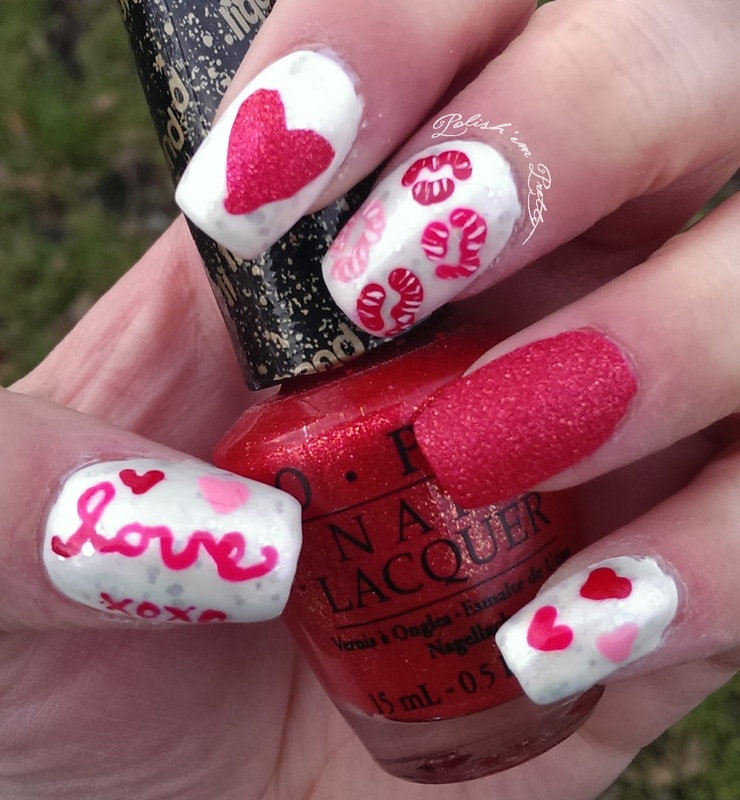 Sorry for the long pause, but I have been swamped the last 2 weeks, so I haven't had much time to make nails or write here, but now I have a few quiet days and I'm going to enjoy them! 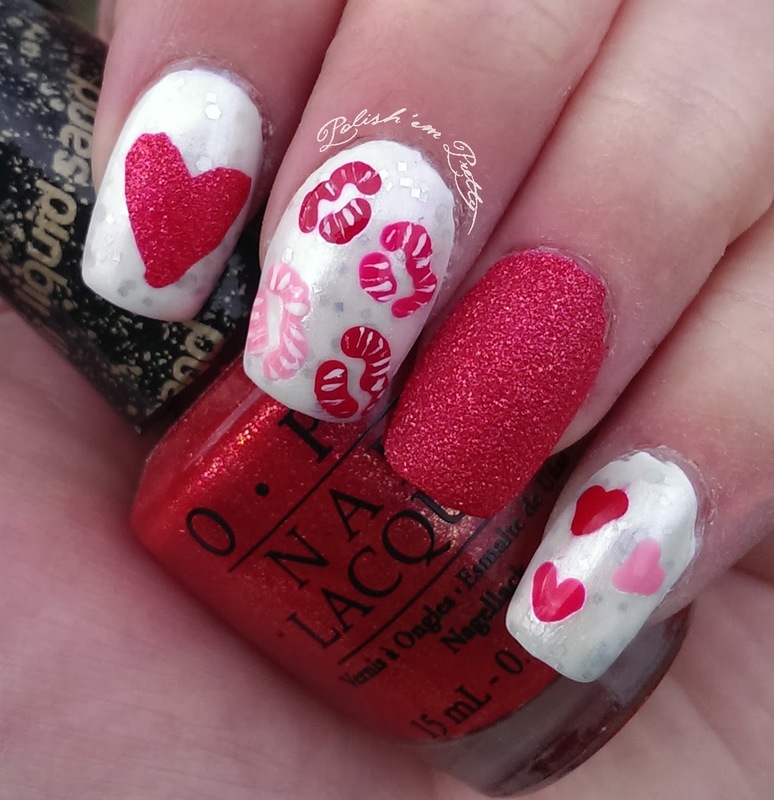 Since it's Valentine's Day today I thought I might make a design for it to show you. 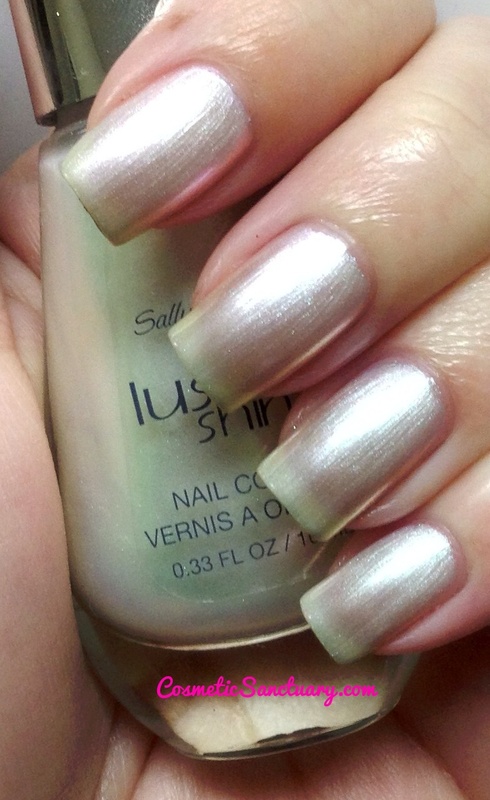 I started out with painting my ring fingers 2 coats of OPI - Magazine Cover Mouse and then I painted the rest of them with 2 coats of OPI - Alpine Snow, 1 coat of Orly - Peaceful Opposition and 1 coat of Sally Hansen - Moonstone and finished them of with a layer of top coat. 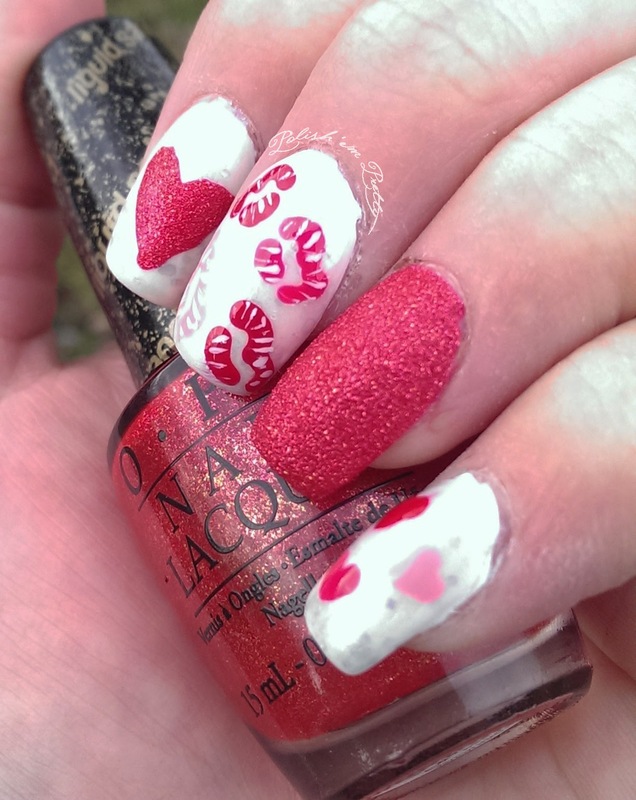 When they were dry I used Manhattan - 45P, OPI - Pink-ing of You and Appeal4 - Honeysuckle Chok along with a thin brush and a dotter to make the hearts, kisses and writing on the thumb. 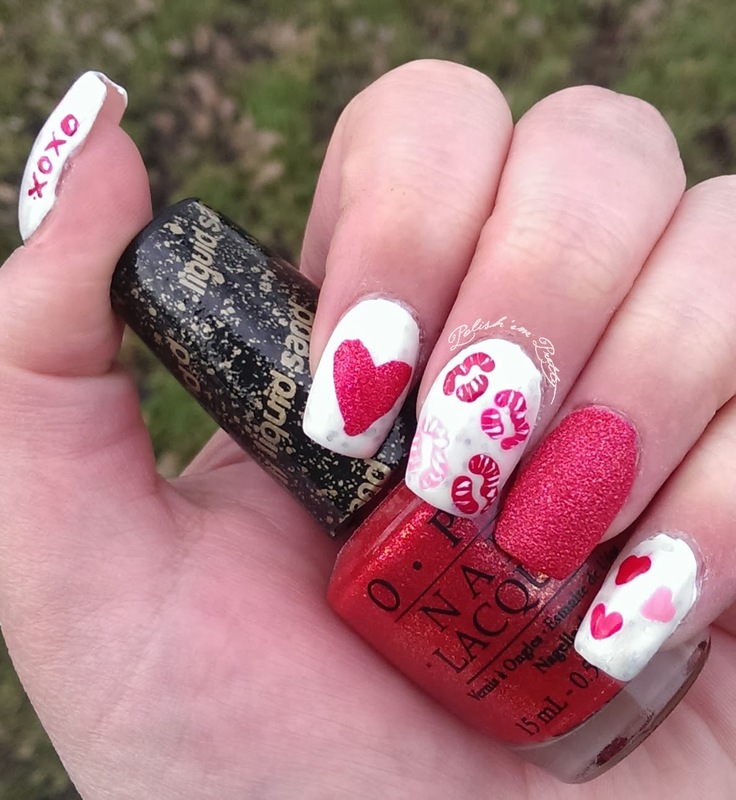 For the index finger I used tape and cut out a heart, then placed it on the nail and painted over it with OPI - Magazine Cover Mouse and removed the tape again. I think it came out quite nice. Here are some more photos of the design.